Our courses suitable for applicants from a mature 8 year old up to 99 years of age. Cransley Sailing Club is a members only club, to sail and take part in courses at Cransley Sailing Club you need to be a member of the club. Please go to the Join Us section of this website for further details. Please read before completing the membership and course booking form. An annual family membership costs just 40p a day, an adult individual membership 30p a day and a youth/student individual membership just 15p a day. Far cheaper than the majority of gym memberships!! Please note: We cannot guarantee that all applicants will be accepted onto our learn to sail course as places are limited. Priority will be given to applicants who live locally. Not sure if sailing is for you, then why not book yourself onto one of our Pay and Play Taster Sailing Sessions? Cost: £150 + membership fee. Please note: your place is not confirmed until membership and course fees are paid in full. See cancellation and refund policy below. 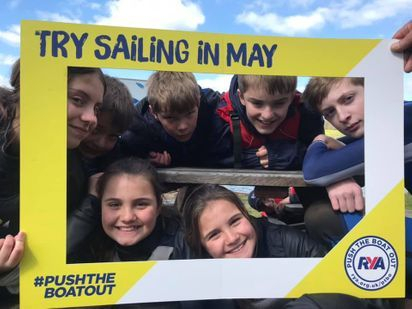 Cransley Sailing Club will make every effort to ensure that a course goes ahead. Should the club need to cancel a course date due to an Instructor not being available/weather conditions etc you will be given an alternative date to enable you to complete the course. 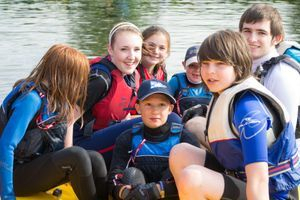 Cransley Sailing Club is unable to offer refunds to students who are unable to attend the course or start the course and decide they don't wish to complete it. Stage 1: No assumed knowledge. Course content: Launching & recovery, steering parts of the boat, basic sailing. After completing stage 1 youths, will be able to understand the basic principles. Youths Stage 2: Basic knowledge and steering ability to Stage 1. Course content: Basic sailing skills, rope work, collision avoidance. After completing the course: You will be able to tack and control boat speed, and understand basic principles. 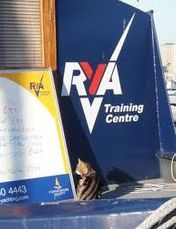 Level 1 Start Sailing: No assumed knowledge. Course content: How to sail in all directions, including an awareness of launching and recovering. After completing Level 1: Able to sail in light winds under supervision. Level 2 Basic Skills: Sailing skills to Level 1 standard. Please bring a packed lunch and snacks with you. Drinks and chocolate bars can be purchased from the galley. If you are on medication don't forget to bring this too. You will get wet and dependant on the weather conditions you may also get cold so please bring plenty of spare old clothes with you that you can change into plus old trainers or wet shoes. You do not need to go to the expense of purchasing sailing clothes to take part in this course if you do not wish to. We will supply you with a buoyancy aid and there is a selection of wet suits available for course participants to loan.